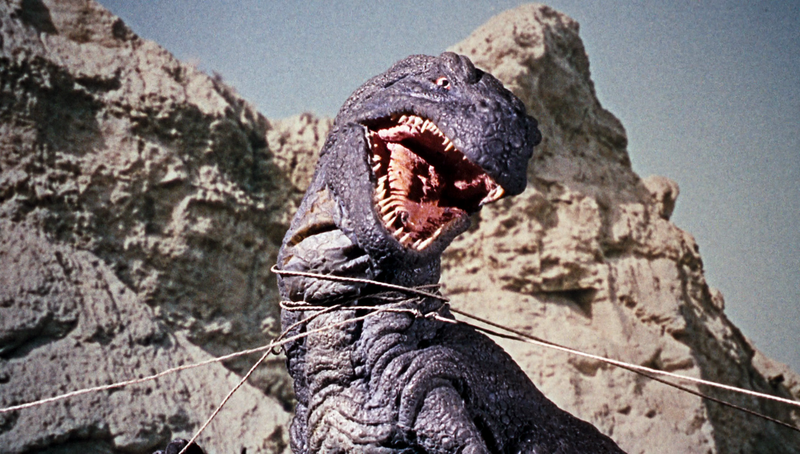 The Valley of Gwangi - Blu-ray Review - ReDVDit! Warner Archive releases not only fill an interesting niche in the home video release calendar, but they also serve to answer questions only the filmmakers of the 60s and 70s could ask, such as, “what would happen if a computer wanted to have a son,” or, “what would happen if a racist white senator was magically turned white?” The strangest of them that I’ve come across so far however, is the question, “what would a band of cowboys do if they happened upon a dinosaur.” The answer? The 1969 hybrid western/monster film The Valley of Gwangi. Directed by English filmmaker Jim O’Connolly and released to theaters by Warner Bros.-Seven Arts, this film is one of the many classic genre films to showcase the special effects capabilities of stop motion legend Ray Harryhausen. The Valley of Gwangi is the story of cowgirl T. J. Breckenridge and her former lover Tuck Kirby. Long since separated, we find T. J. at the head of a struggling rodeo show in Mexico. Realizing he still has feelings for T. J., Tuck tries to buy her out and take her away from it all, prompting her to show him a secret she believes is going to save her rodeo; a miniature horse called El Diablo. 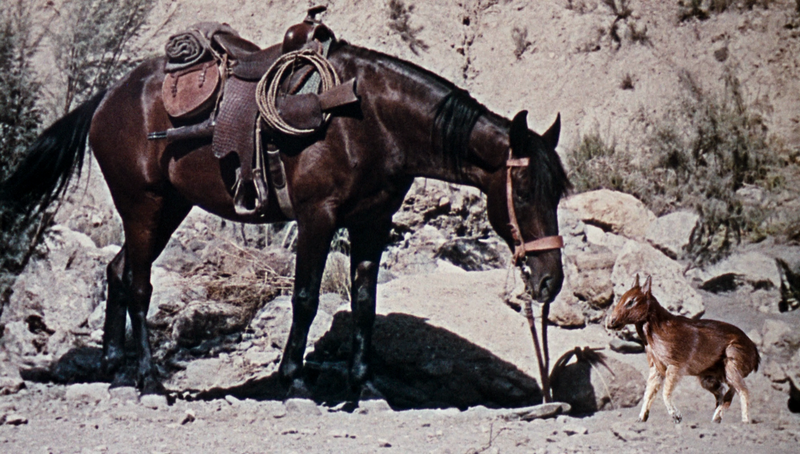 Shortly after, Tuck is approached by paleontologist Horace Bromley, who believes the horse is an ancient ancestor of modern day horses, and gypsy Tia Zorina, who warns him that the horse is from a place known as the Forbidden Valley, and must be returned at once. 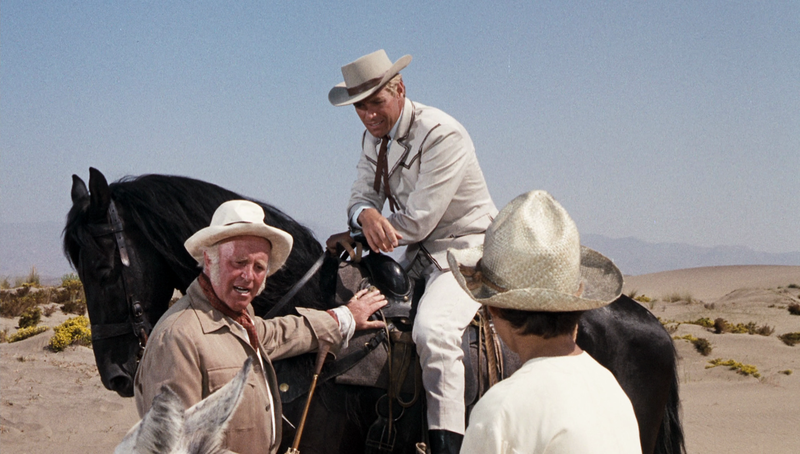 Realizing that T. J. and Tuck aren’t willing to return the horse, they decide to orchestrate the theft of El Diablo, prompting Tuck and his gang to hunt them through the desert, both to retrieve El Diablo, and to find and exploit whatever hides within the Valley. What they find there defies both their expectations and the bounds of reality, as the cowboy gang must grapple with the wrath of prehistoric dinosaur Gwangi, who rules the valley, and the consequences of their destructive greed. If I had to provide a point of reference with which to dive into The Valley of Gwangi, I want you to think about what would happen if the script of The Lost World: Jurassic Park and a John Wayne film fell into a blender, with the resulting movie shot and finished in the late 1960s by a no name director and a visual effects legend. The dialogue is clunky, the plot circumstances vague and slow moving, but the action is top notch. When it comes to Harryhausen effects driven movies, that’s why we’re here, right? 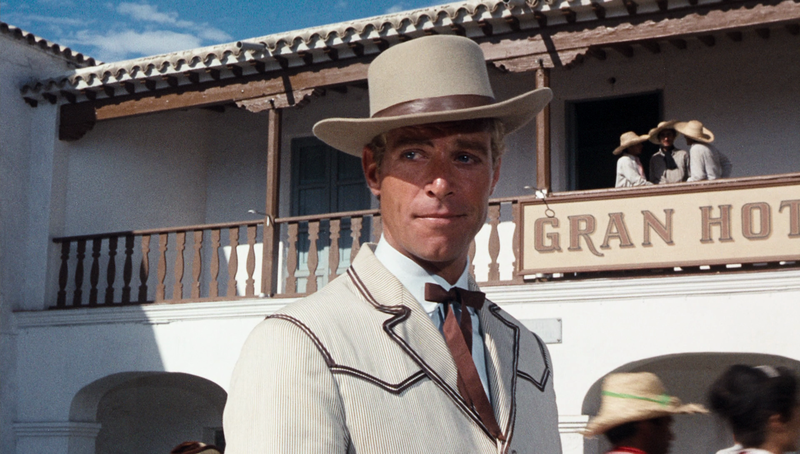 Set in Mexico, the film sets up a lot of interesting ideas, such as the fading glory of the cowboys who led traveling rodeos, the maintaining of legends and traditions from small villages in rural areas, and even a surprisingly scientific approach to a mythical valley full of prehistoric creatures, but in typical 60s blockbuster fashion it’s less interested in fleshing out the meat of the picture, and wants to rush straight ahead into the thrills; this was, after all, a film planned for drive in double features and an attempt to capitalize on the fleeting success of Harryhausen’s earlier monster pictures. It was made to excite audiences, not necessarily engage them on a higher level. 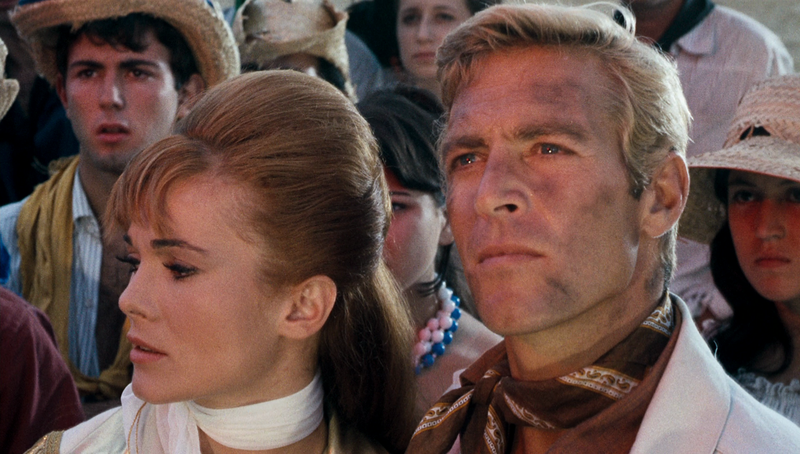 On top of the surface level writing, the film is carried by two leads, James Franciscus as Tuck and Gila Golan as T. J. who deliver their lines with all of the charisma of a wet sponge. I get that we’re here for the action, but much of the story hinges on their rekindling of their past romance, and their chemistry on screen has all of the reactive qualities of soggy cereal. Luckily, for their sakes, the rest of the supporting cast, including Laurence Naismith as Professor Bromley and Freda Jackson as Tia Zorina play into their respective roles with the appropriate amount of energy and camp, carrying the dramatic weight of the picture on their shoulders. The film slowly lumbers into a brilliant climax, in which the cowboys and T. J. decide reluctantly to use the dinosaur Gwangi as a featured member of their rodeo display in town, which goes wrong in predictable fashion as Tia attempts to release the dinosaur from its cage. Things go from bad to worse as the dinosaur rampages out of the arena in spectacular fashion to terrorize those who attempted to capture it. It’s a fast paced adrenaline shot straight to the heart of the picture, demonstrating the full force of Harryhausen’s ability to integrate large scale creature models into live action footage without the help of computers. It’s a sequence that was heavily leaned on by Spielberg as he attempt to do the very same sequence in his The Lost World, except in San Diego, versus the Mexican town this takes place in, which it makes it all the more interesting to experience how these action sequences would have been attempted in the 1960s. 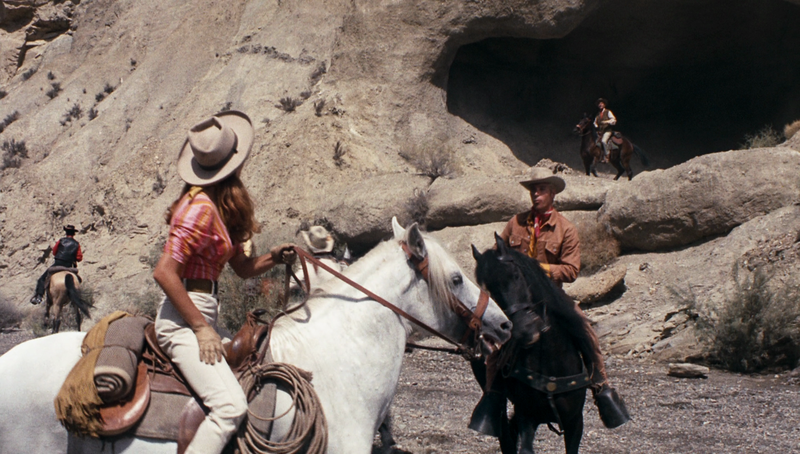 The Valley of Gwangi is a pretty fun movie, especially if you go in knowing exactly what you’re getting into. It isn’t particularly innovative or interesting as far as dramatic weight is concerned, but it has excellent stop motion action sequences, and some pretty interesting campy performances from its supporting cast. It moves slow in its setup, but has two really great action sequences that are more than worth your time; you can never have enough Harryhausen in your life. There’s a reason he’s such a legend, and that’s because of his ability to save otherwise lifeless movies such as these ones with his effects. They’re just that good. The Valley of Gwangi was shot on 4-perf 35mm film using spherical lenses and was then matted in post production for a final aspect ratio of 1.85:1 for projection. 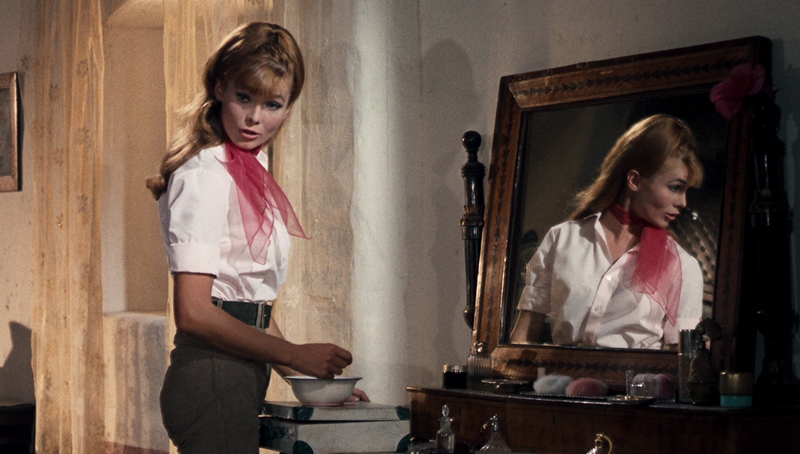 This release of the film, prepared by Warner Archive from a new HD master, presents the film in 1080p, in the slightly opened up aspect ratio of 1.78:1. 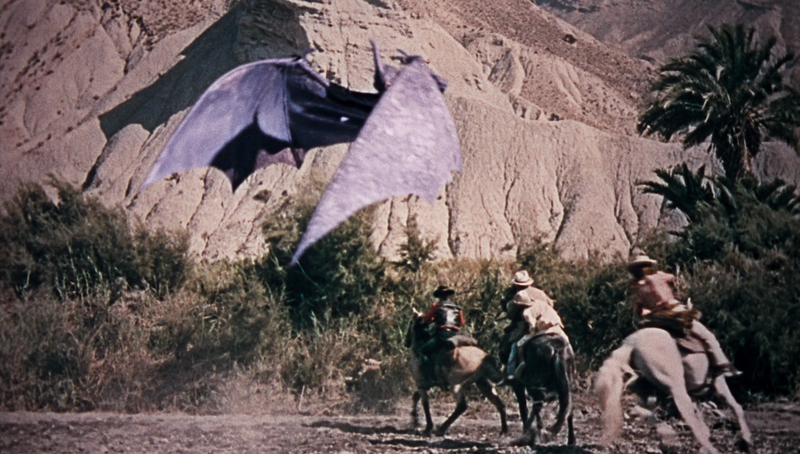 The Valley of Gwangi will never look as incredible as modern effects blockbusters, due to the limitations of technology used to integrate such complicated creature effects into a photochemical workflow. As such, I don’t think it’s fair to approach these releases like I would a modern production; the film is littered with effects shots that are the results of multiple composites and passes of film material that often look incredibly soft and grainy due to the generational loss that is unavoidable when optical printing is required. When unaltered footage appears on screen, the results are impressive: color is strong, with excellent yellows and blues, grain is light but provides a natural texture for the image, and detail is strong in close ups due to the sharp qualities of the lenses and film stocks used to shoot the film. In order to make big effects movies like these in 1969 you had to take compromises in terms of image quality. Luckily for us, Warner Archive has opted to not do the same, and has presented The Valley of Gwangi in its full composited glory, untampered with for a wonderful, authentic experience in 1080p. 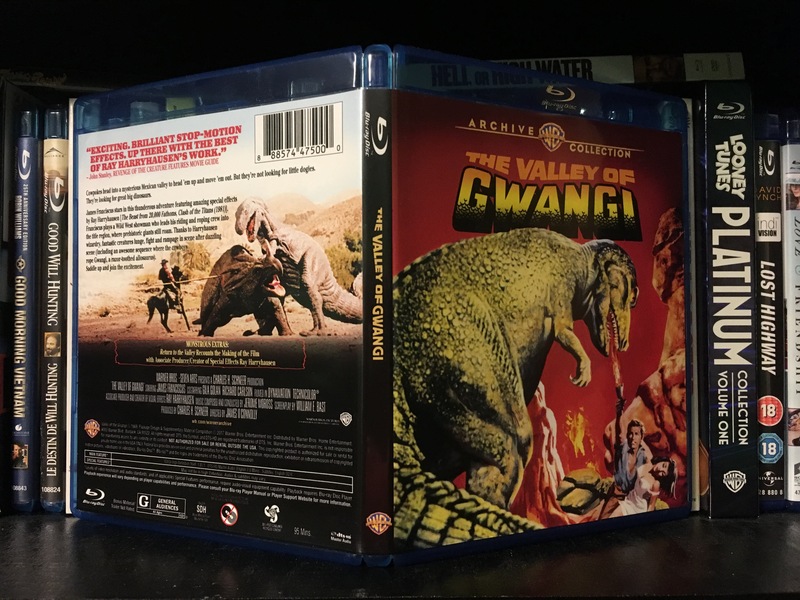 The Valley of Gwangi is presented on home video with a DTS-Master Audio 2.0 mono soundtrack, recreating the mono soundtrack included on standard release prints during its original theatrical release. The film is a pretty typical mono soundtrack experience from the folks at Warner Archive. The track is free of any defects, and reflects the excellent sound design of the production There is a wonderful balance between Jerome Moross’s score, dialogue, and all of the sound effects used to bring Gwangi’s rampage to life. Another solid track from the Archive crew. 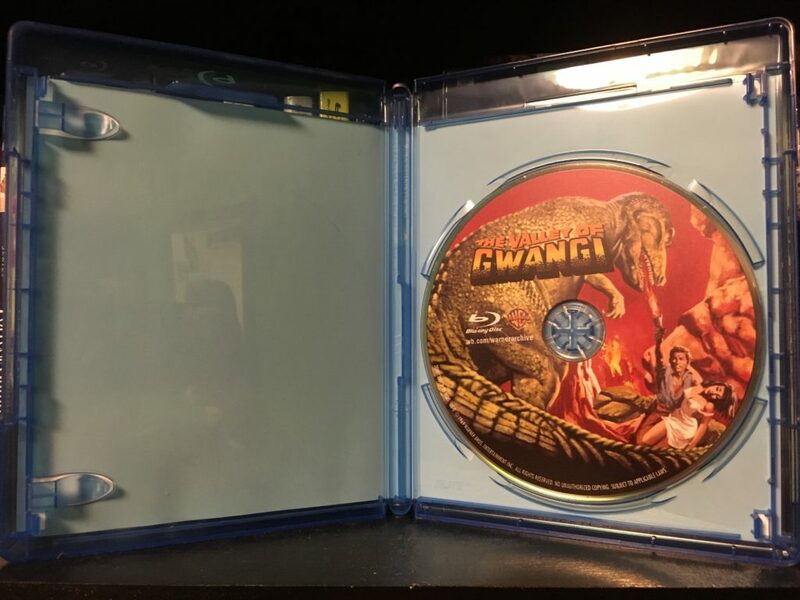 Released to home video by Warner Archive, The Valley of Gwangi is packaged in a standard Blu-ray keepcase. The front artwork uses a reframing of the artwork used for the beautiful Italian poster for the film, featuring Tuck desperately holding a torch up to the fearsome Gwangi, holding a limp T. J. in his other arm. It does a great job of establishing the terror they face as they engage the wrath of Gwangi. The back artwork features a shot from the film in which Gwangi takes down a different dinosaur as one of the cowboys stabs it with a spear, next to a few paragraphs about the film, a review quote, and above a list of features, credits, and technical specs for the release. Another excellent packaging job from the Warner Archive crew. Return to the Valley Documentary – an 8 minute documentary on the special effects of Gwangi, and the impact that Ray Harryhausen had on the visual effects industry members of today. Held over from a previous DVD release. Gwangi and Vanessa – a one minute short story about Vanessa, Ray’s daughter, getting caught by two old ladies with a model of Gwangi in her baby stroller. Trailer – the film’s original trailer, as seen in the period leading up to its original release. As usual, this Archives release is light on features, but has excellent packaging. The Valley of Gwangi is fun, but has some serious dramatic problems that will keep it from ever being held up high with other Harryhausen classics such as One Million Years B.C. or Clash of the Titans. It’s a little too campy for its own good on occasion, but for 95 minutes, its got a pretty good ratio of dinosaur action to bad acting and storytelling. Luckily, for fans on the film, Warner Archive has presented the film with a faithful 1080p presentation and a good mono audio soundtrack. Add to it a couple of features and excellent packaging, and you have yourself a very compelling release of the film.